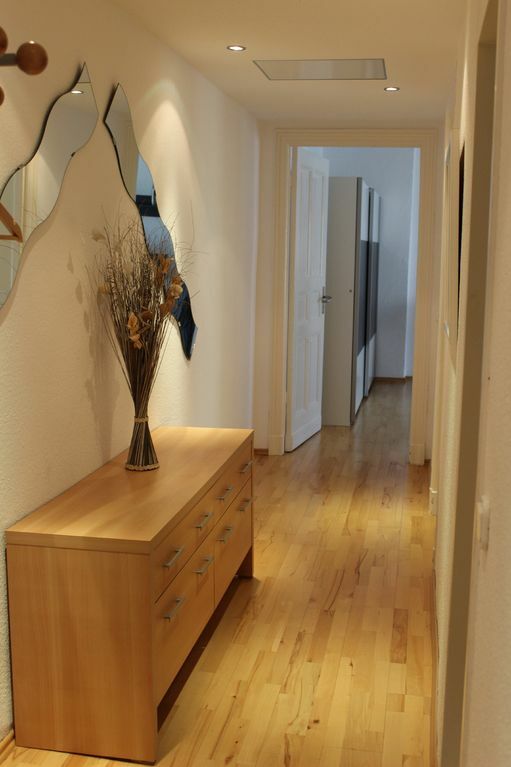 Our contemporary apartment has a size of 63 m². 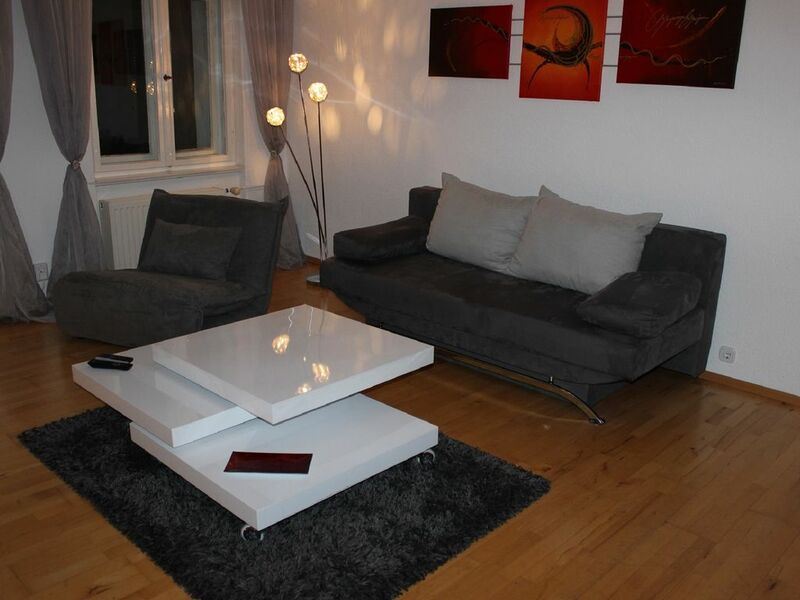 It has a bedroom and a living / sleeping room with sofa bed, a kitchen with a dining area and a bathroom with shower. 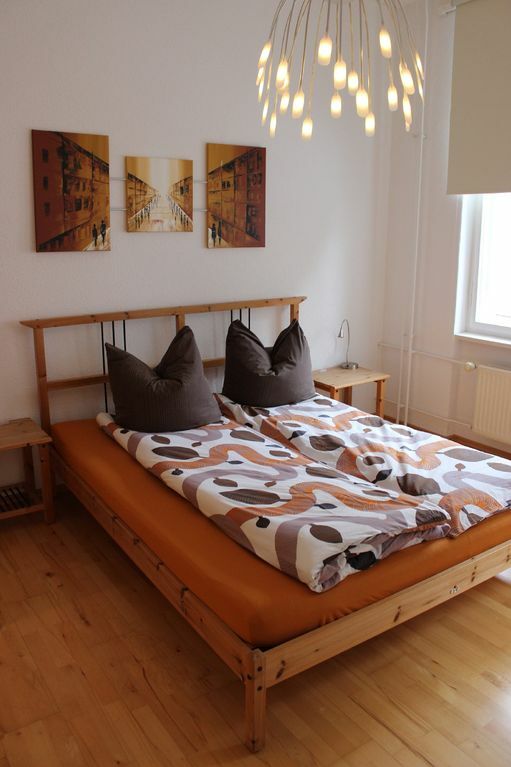 Up to 4 people comfortably. 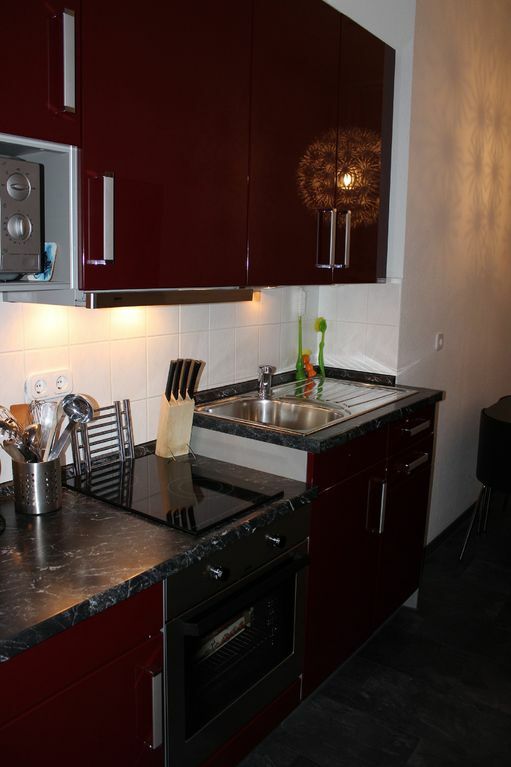 The kitchen is fully equipped with stove, microwave and dishwasher. 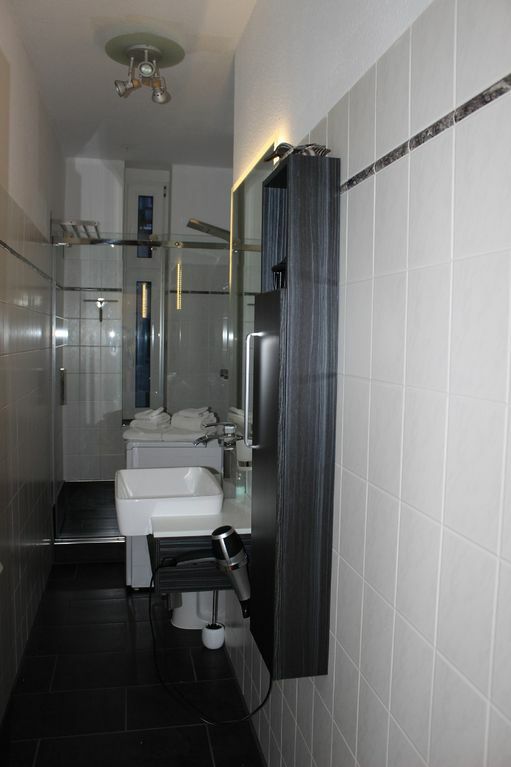 The bathroom has a washing machine. 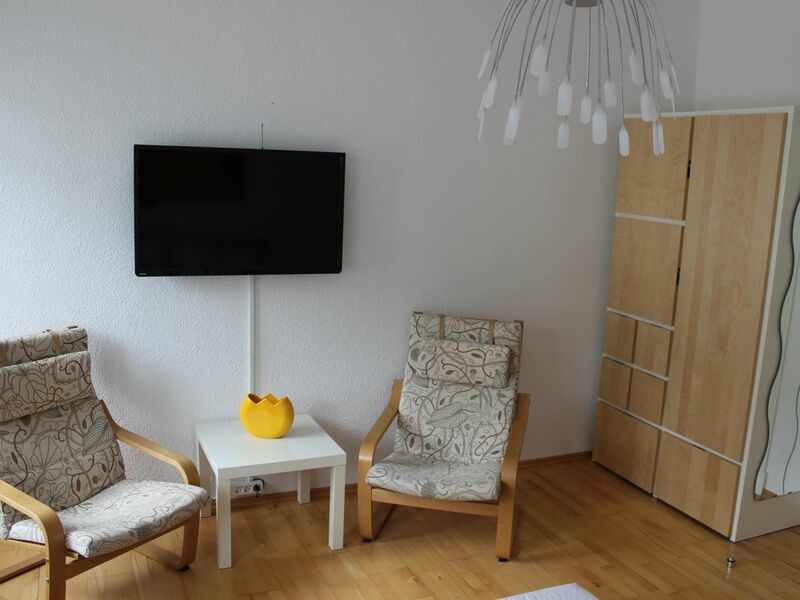 Furthermore, the apartment has a TV with cable, wireless internet, telephone, linens, towels, dishes, coffee maker, kettle, toaster etc. 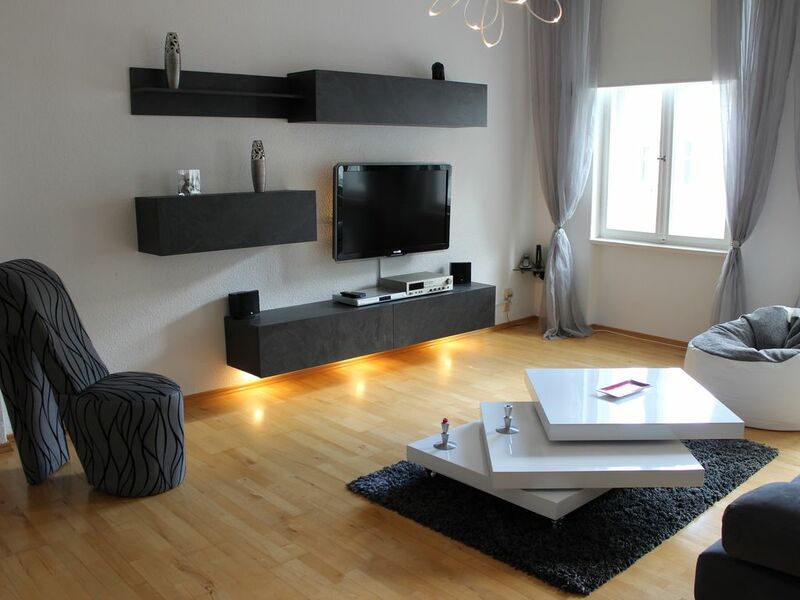 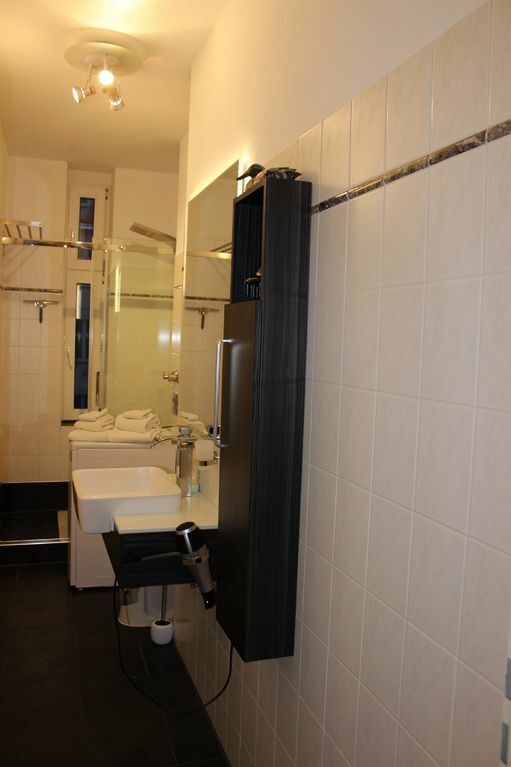 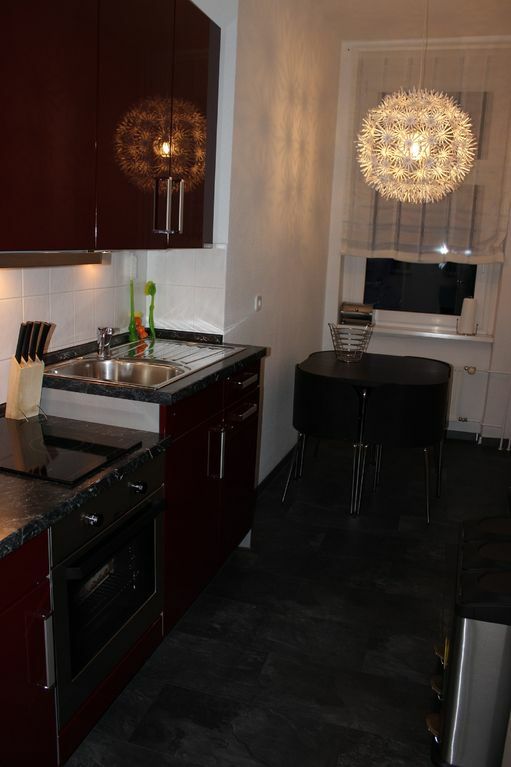 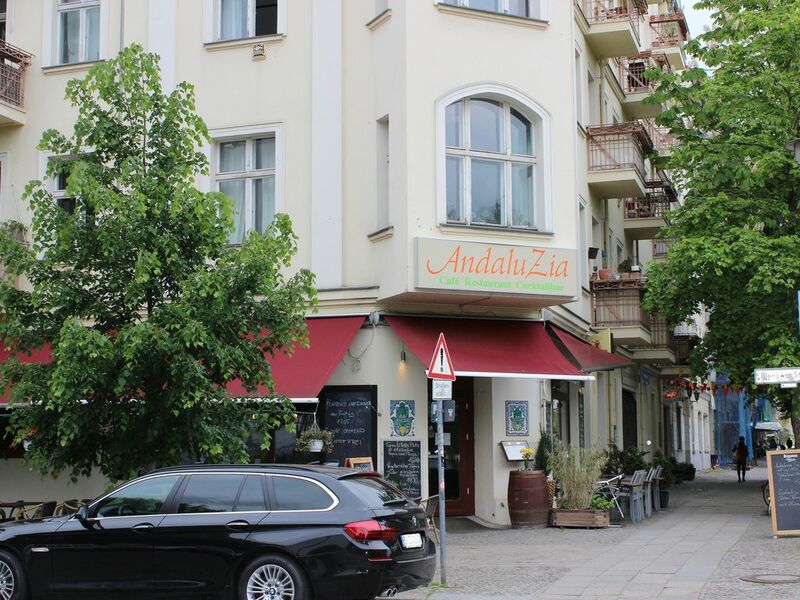 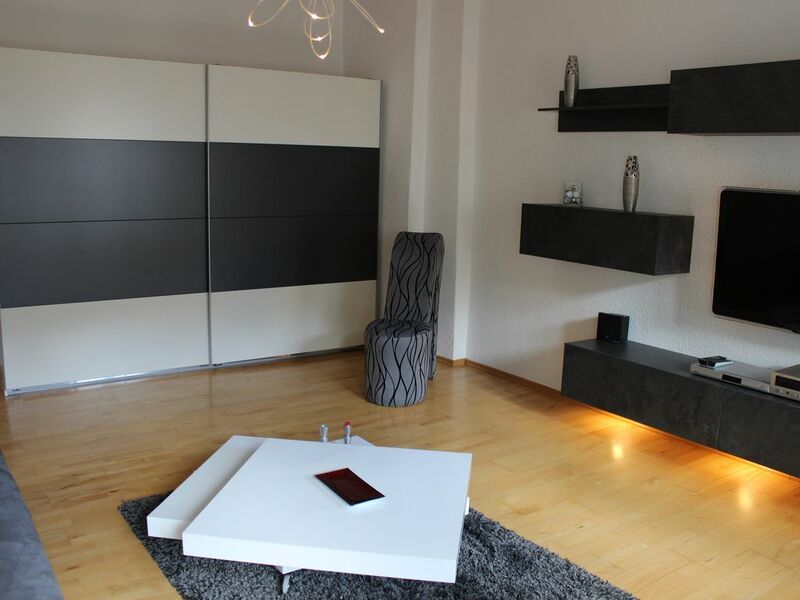 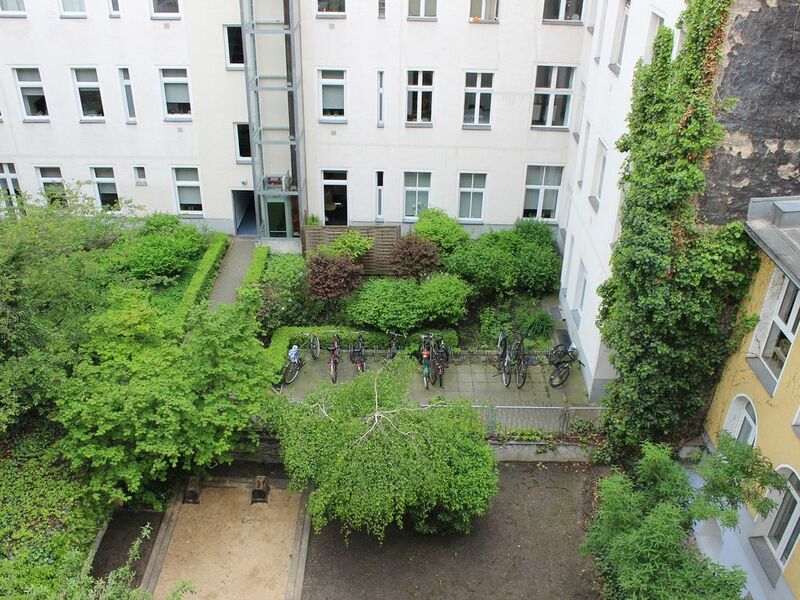 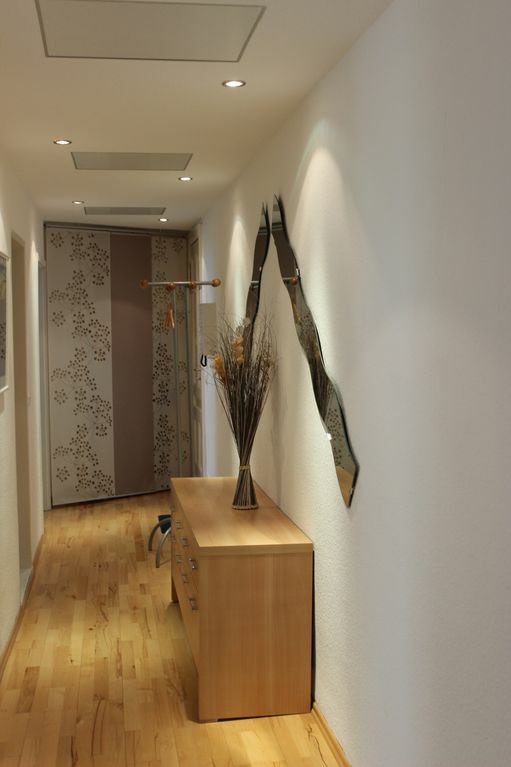 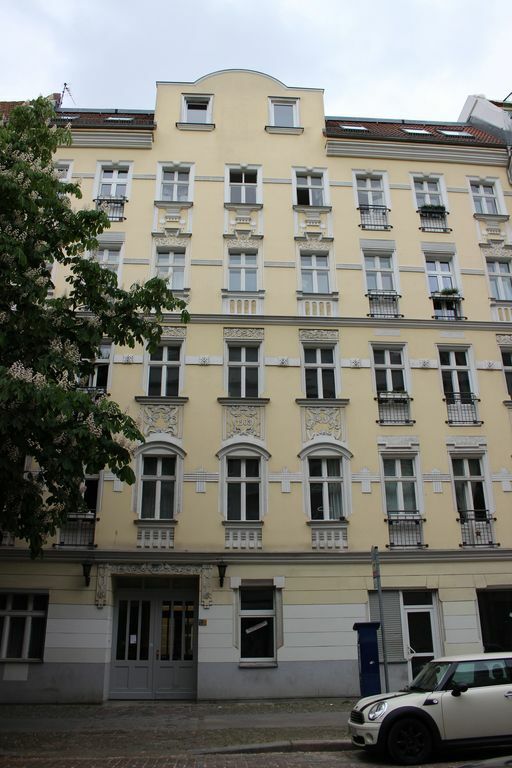 The apartment is located in the Copenhagen street in the Prenzlauer Berg district, in central and also quiet location. 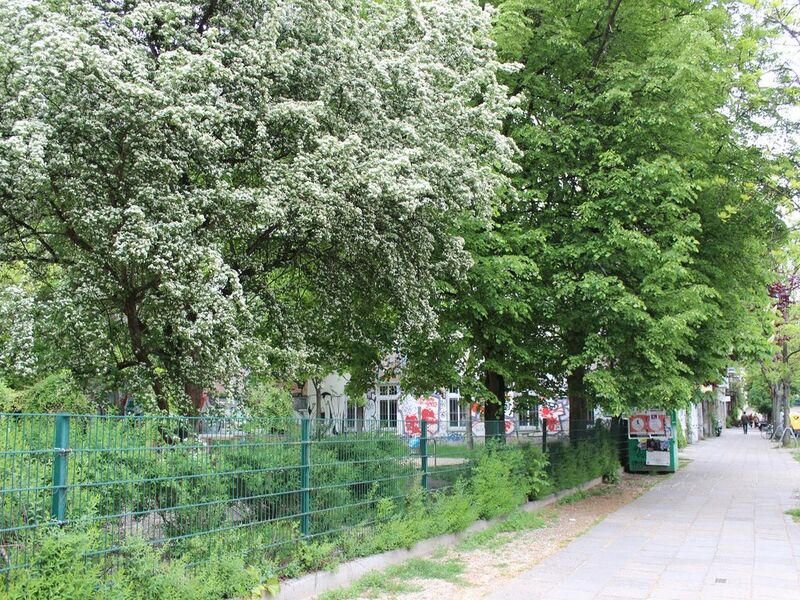 The U- and S-Bahn station Schönhauser Allee are walking 5 minutes. 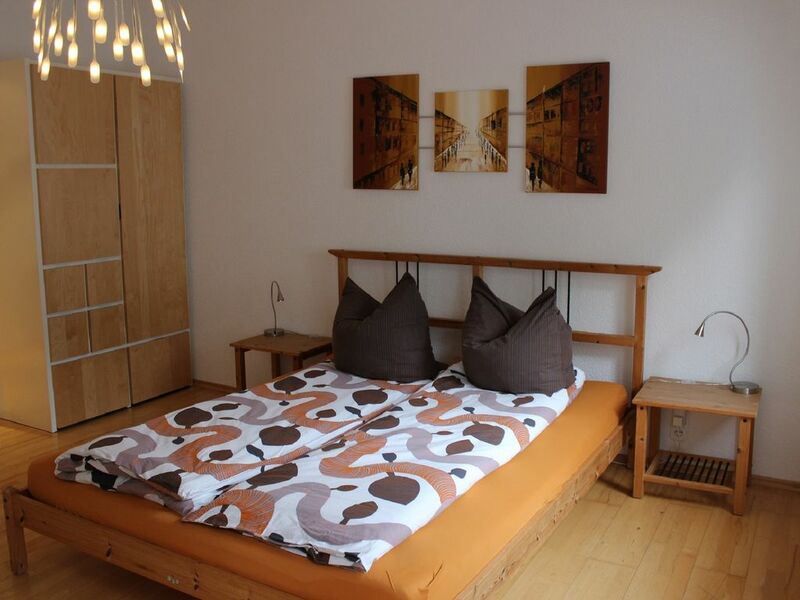 From there many tourist destinations of Berlin by public transport in the shortest time achievable. 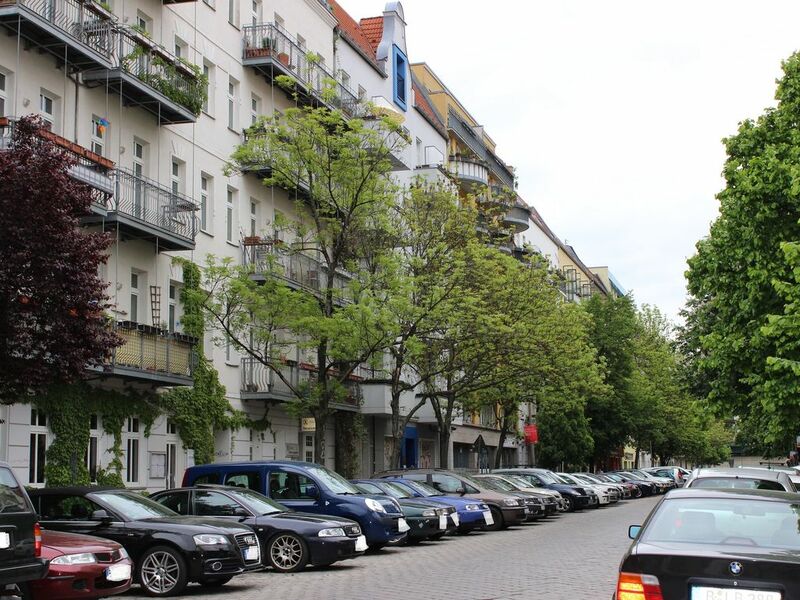 The Max-Schmeling-Halle is just a few meters away.